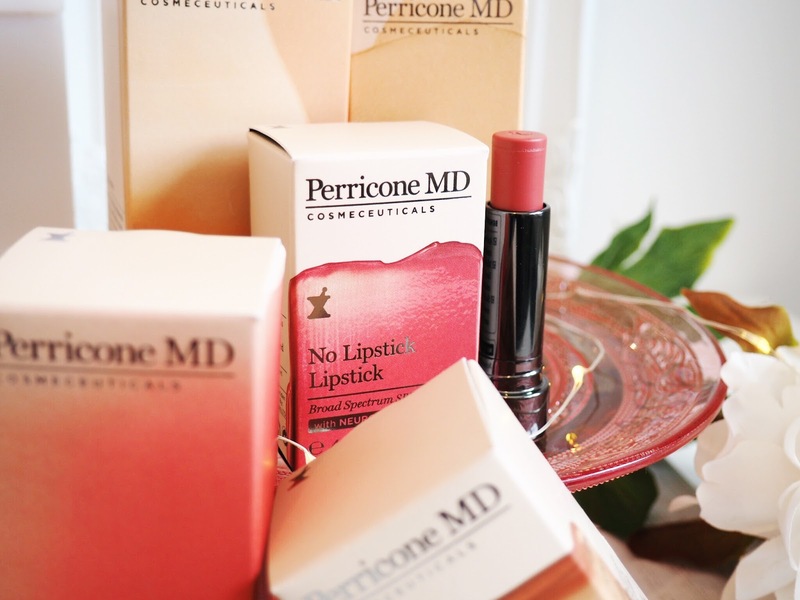 I first heard about Perricone MD because of their skincare, as their products are regarded as some of the best performing on the market. So I had high hopes for the make-up! 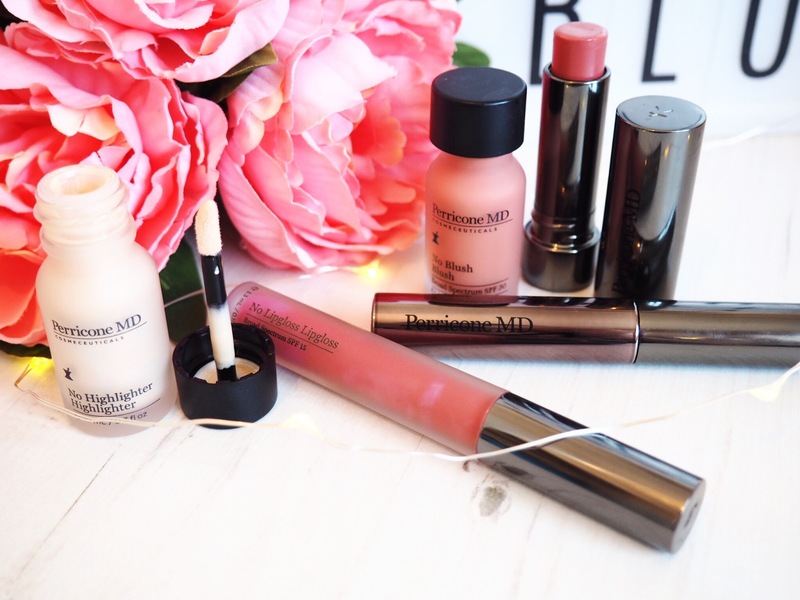 The No MakeUp range is supposed to bring colour and life back to your skin to reveal a natural and radiant glow that looks just like your skin – but better. And for this reason, I couldn’t wait to give it a try. And I’m so glad that I did! Obviously this product was the very first one that I tried on – foundation is always the first thing that I apply because it’s the base for the rest of my make-up (duh!) Considering I usually go for a full coverage foundation, I was intrigued to see what level of cover could be achieved with this. The first thing I noticed about this foundation was that it has a very liquid texture. Not creamy, or solid but probably the most liquid foundation I’ve ever used, which was really interesting because I’ve never tried one like that before. You apply using a dropper tool and I found the best application was to put several drops in the palm of my hand and apply that way – with a washing-over motion. With the summer coming up, I’ve been on the look out for good bronzers but I hadn’t tried a liquid bronzer before. 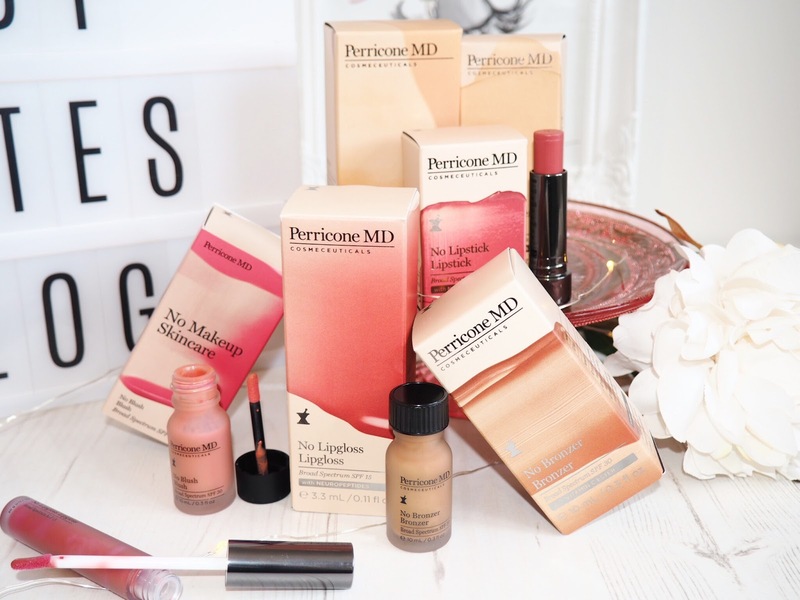 This is one of the products in the Perricone MD range which has revolutionised my make-up regime on a daily basis. I initially tried it as it was intended – as a bronzer, and it gave a really lovely tan shade to my cheeks and forehead. I found I achieved the best results by lighting rubbing a few drops together in my palms and applying over the top of my foundation. This beautiful and universal pink blush is a really lovely all rounder. 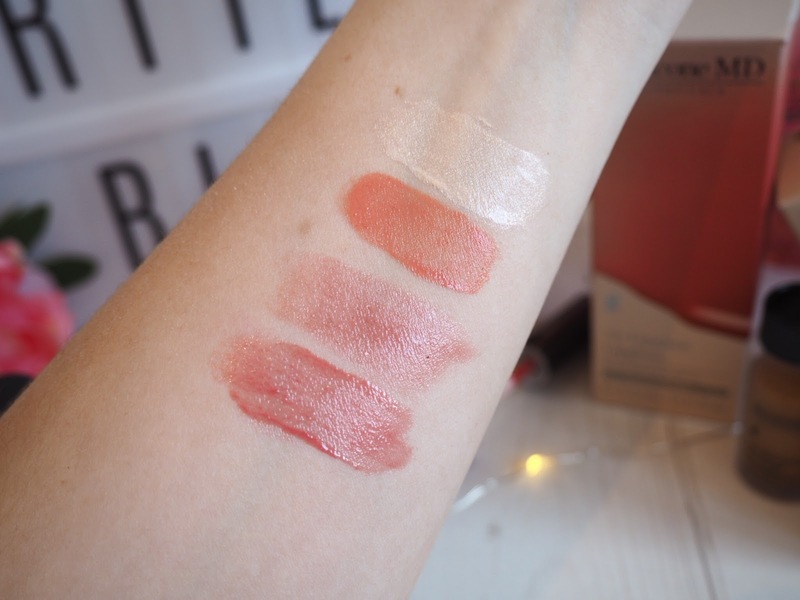 It’s got just the right balance between pink and red on the colour spectrum, which means that this product really does take your skins own natural ‘blush’ shade and make it better. When blended in, it sat lightly on the skin – as do all the products in this range, and it added a really nice and natural look. My impressions of this are that I was really impressed with the intensity of the colour – you don’t need much, just a few drops on your cheeks and you’ve got enough to last all day. *Holy Grail Product alert! * This concealer is amazing. I’ve been using this a lot recently and am blown away by the different it makes to my all over make-up look. I needed a new concealer and so the arrival of this was perfectly timed. But what’s more is that it’s dual purposed – it’s designed to cover the under eye area as well as cover blemishes. It does both so well that I can’t fault either. I don’t have black bags under my eyes, but this is great as an under eye primer, and just adds that little bit of life to my face by taking the off-grey bags back to a more natural shade that matches my foundation. It’s also a thick enough coverage for mild to moderate blemishes. Being prone to hormonal breakouts, this is really important to me as I need good quality concealer to prevent me loosing confidence. This product lightens and brightens my under eye and covers breakouts fully, it’s easy to blend and it’s got Vitamin C in it too. My thoughts? Put it this way – I won’t be using any other concealer for a while! 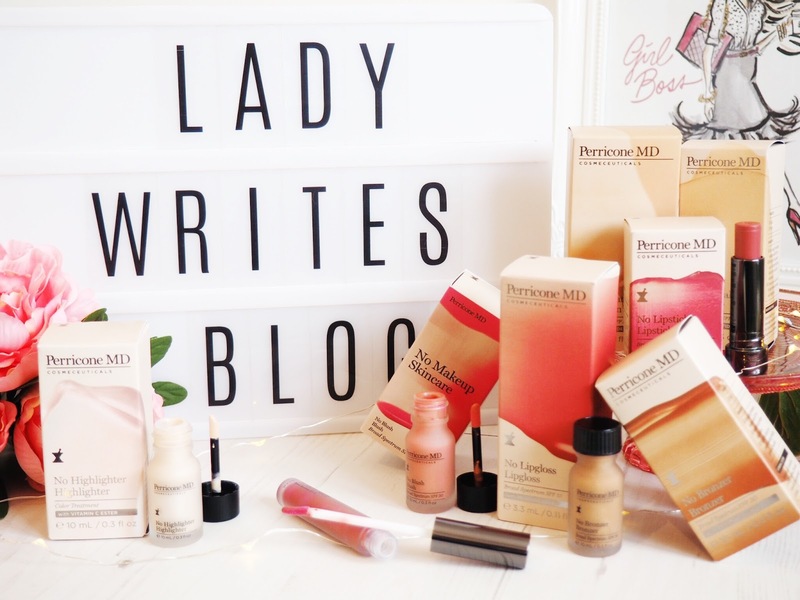 Perfect for that natural looking lip with just the right shade of rose looking pink, this is very much like your natural lip colour – but better. It’s a universal shade that will suit everyone and it’s very easy to wear. 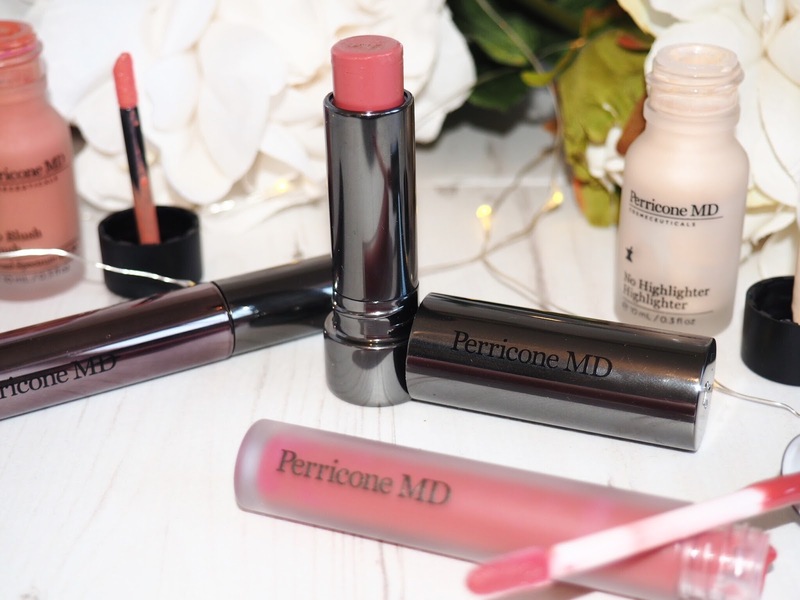 You can tell that’s it’s a high quality lipstick because it has zero stickiness and it leaves your lips feeling healthy and full, during and after application. Considering this was described as a lipstick that can give buildable coverage, I found that only one to two coats was all that was needed. It’s got a creamy, almost glossy finish that means you don’t need to wear a lot of it to get the full impact. It’s a great everyday lipstick and I can’t think of a skin tone that it wouldn’t suit. A matching shade to the lipstick, this pretty and pink gloss is also very conditioning for the lips, leaving them feeling full even after you’ve worn it. The natural shade and high intensity gloss gives a lovely everyday lip look that works perfectly when worn alone or, as I personally like to wear it – over the top of the lipstick. The overall look is feminine, classy and understated. Perfect for everyday wear and it’s a universally flattering shade as well. For those of you who follow me on Snapchat (username: misschloebrewer) you’ll know I raved about this product when I tried it…and I haven’t stopped raving since! It’a a truly beautiful highlighter that adds a gorgeous pearlised effect to the cheeks, brow bone and tip of the nose. Again, it’s a very liquid formula with high intensity colour, but when applied, it’s shimmer blends perfectly into the skin and sits lightly on top, while catching the light in all the right places to highlight your natural features. It’s a cool white/pink shade, so it’s perfect for me as someone with pale skin, and together with the bronzer, it really helps to create a stunning contour system that’s subtle enough for everyday wear but bold enough to shadow, shade and highlight all the key parts of your face. 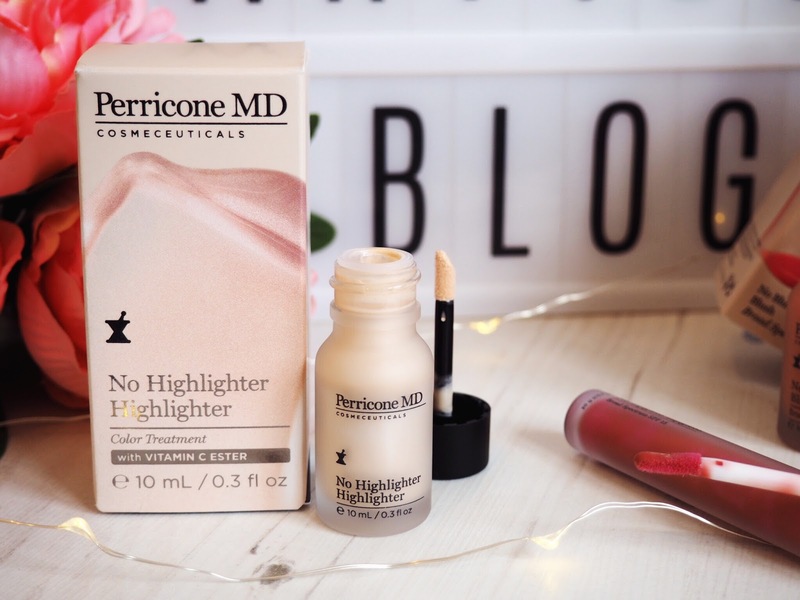 This is another product that I’ve used every day since it arrived and it’s replaced my trusty highlighter – something I’ve used since I was 16 years old. Bold statement huh? But I can honestly say I’m thrilled with No Highlighter Highlighter! So, that’s my run down of the No MakeUp Skincare range and you can see that I’m as sold on the make-up as I was on the skincare products. I recommend the No Foundation Foundation Serum to those who prefer a lighter coverage, or just for those days when you want a lighter, more subtle make-up look. But other than that all the products in the range are designed to be universal – and they are. Created to enhance the skins natural features, colours and pigmentation – this range ticks every box with it’s products. For me, the No Concealer Concealer, No Bronzer Bronzer and the No Highlighter Highlighter are now being used every day – in place of some products I’ve always previously classed as staples in my make-up bag. Another very key point worth mentioning is the staying power of the products – this make-up isn’t going anywhere once you’ve applied it! It’s got a stubborn nature that I love because it means I don’t need to reapply at all during the day – at most a quick touch up of the lip products is all that’s needed. Other than that, I can apply in the morning before work and know that my make-up will last throughout the day. This is very important to me as I don’t get a lot of time in-between meetings etc to nip to the toilets and have more than a quick make-up refresh. It’s also really important to me to mention that the products have SPF in them ranging from factor 15-30. Meaning that not only can you look great and healthy, you’re also covering your skin in sun protecting make-up too. Perfect for summer holidays, and I fully intend to take my collection away to New York with me in the summer. The light nature combined with the SPF means that my skin will not only feel light and airy, but it won’t get weighed down by the need for sun cream. 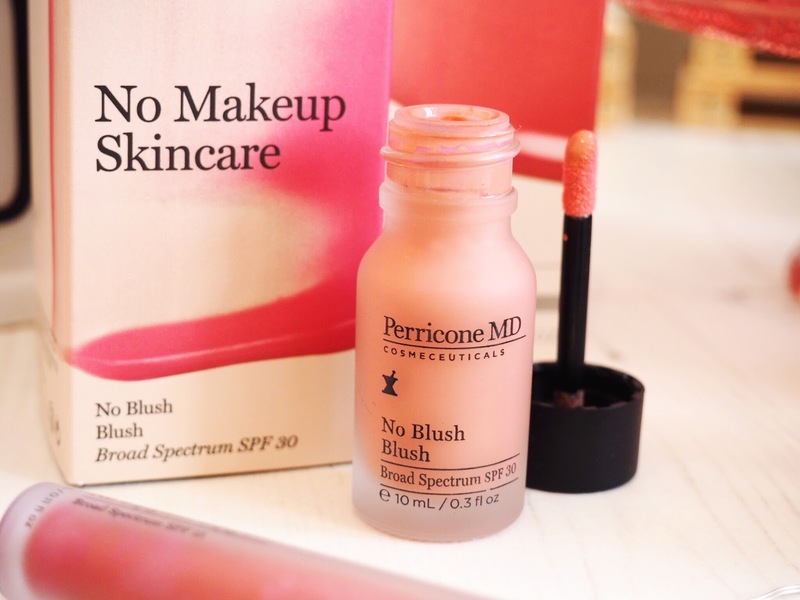 I’m loving the Perricone MD No MakeUp Skincare products, I can’t recommend them to you highly enough. 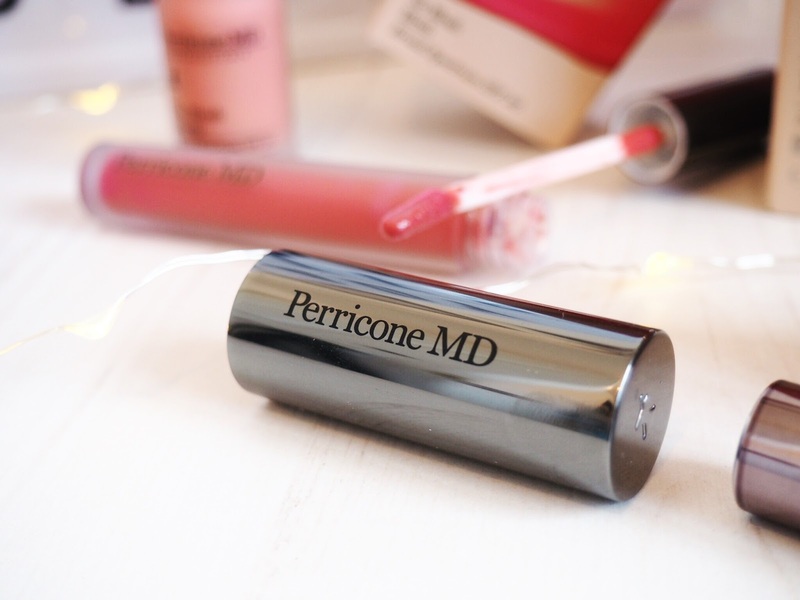 And if you want any more information you can find full details, along with application techniques and videos on the Perricone MD website. I’d love to hear your thoughts – which of these products do you think you’d like to try the most?